Even though the kids are back to school we still like to keep a few quick grab activities. We created a great fall printable pack that is full of them! 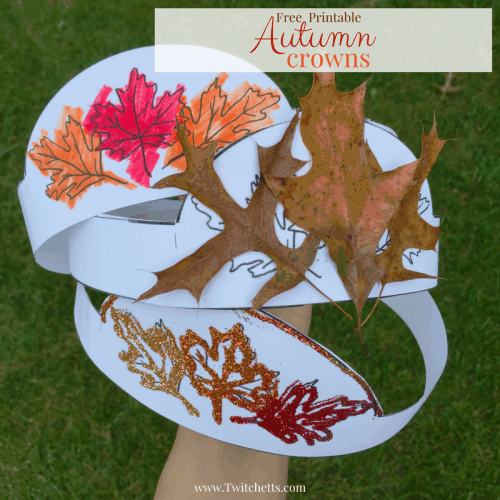 Today we are sharing one with you for free, our Printable Autumn Crown! This printable is great because it can be used so many different ways! We thought of 3, which we will share below, but I am sure you could think of more! 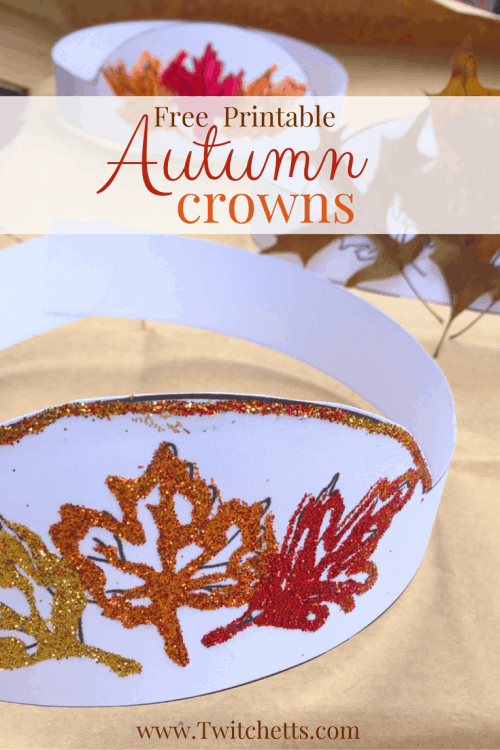 You can make your Printable Autumn Crown sparkle! 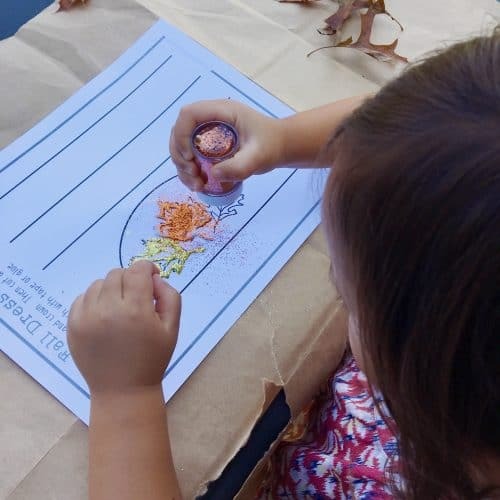 Just trace the design with white glue and sprinkle on some fall colored glitter. Yes, I said it glitter… while it isn’t our first choice for crafting an occasional addition of shimmer outside can’t hurt. Also, V loved this crown!! Still not convinced on the glitter… we don’t blame you! 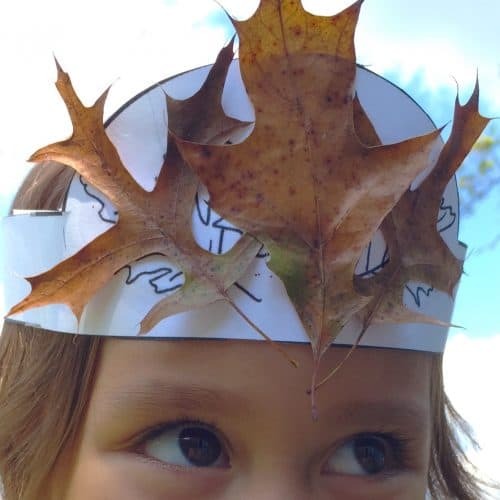 Use real leaves for your Printable Autumn Crown! This is fun because you can search for the perfect leaves first! We will be doing this again once we have more leaves to choose from. For now, we had limited options. This didn’t stop V from picking the “perfect” leaves for decorating. Toddlers love to use white glue and she got to make 3 good sized blobs of it! We topped it with our leaves and let it dry! We love this nature look. Can you imagine once you can add some red and orange leaves too? 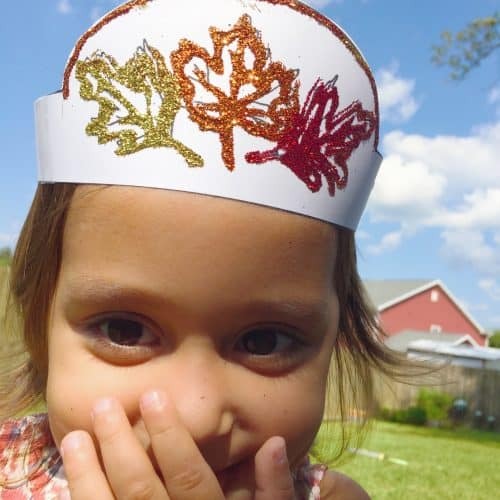 Color your Printable Autumn Crown! Of course, you can never go wrong with throwing out some crayons or markers and letting your little one go to town! All that is left is to cut them out and tape them to size! 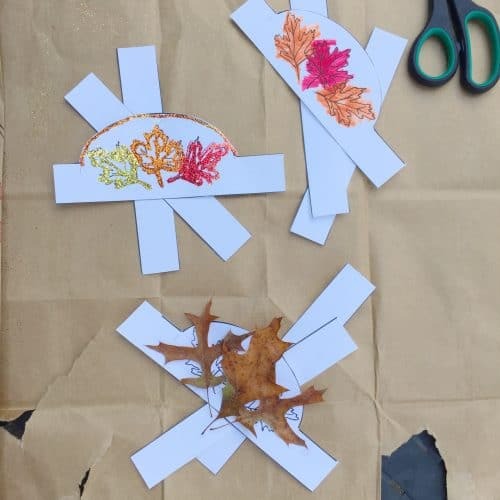 No matter how you jazz them up they are a fun craft for your little ones and they will lead to some fun imaginative play! 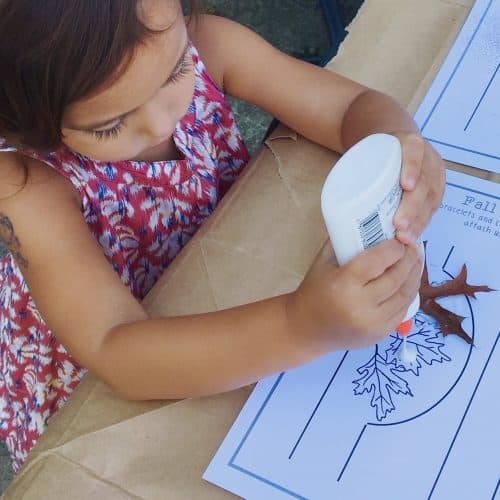 If you love this activity check out the rest of the fall printable pack too! It’s loaded with plenty to entertain for all different ages of kiddos!